Year on year ad spend for the online bingo category increased 3% in 2018 vs 2017, with investment in press continuing to tail off and reported digital advertising slipping, most likely as a result of a shift into programmatic buying. At the same time, operators have upped their investment in TV spend by 15%. *Figures are taken from Neilson’s Addynamix. Mirroring 2017’s figures, the top 10 brands contributed to over 97% of all TV spend for the period, with the top 5 contributing to almost 80% of total TV spend. Coral, Fabulous Bingo and Pick Me Up Bingo, all in the top 10 TV spenders for 2017, were absent from the list for 2018. Tombola continues to lead the way on TV, outspending the #2 ranking brand by over £4 million for the second year running, with their TV spend representing 30% of the total for the category. Both Tombola and Gala had an always-on TV strategy in 2018, with consistent spend across the year, and a slight upweighting at the start and end of the month around payday. Tombola remain consistent in their approach across the TV creative, sticking with the community-focussed angle, showing all the different scenarios in which people can play their games. Tombola have also continued to invest in their sister casino product Tombola Arcade, building on the halo effect from their core bingo offering. In addition to traditional TV airtime and following on from the successful sponsorship of “I’m A Celebrity Get Me Out Of Here” in 2017, Tombola Arcade sponsored the show again in 2018, running creative idents featuring various games and with playful bug characters. Gala Bingo changed its TV creative in August 2018, focussing on audiences playing at home with a comical spin that moves away from their more conservative routes in the past, still utilising the ‘Galalala’ skit based on the Bananarama song, in various iterations. In addition to spending £2million more on TV than during 2017, 2018 saw Gala Bingo extend partnerships with ITV, and continuing their ongoing partnership with the popular gameshow “The Chase”. Sky Bingo saw TV budgets increase again in 2018 vs 2017, with running daily throughout the year, with slightly less exposure on weekends. Sky has run several creative executions throughout the year, with the most notable being a version that has a man reading a voiceover of a scenario in a Gogglebox style of narration, while two women sit on the sofa. This then incorporates the offer into the ad, delivering an interesting twist on the traditional end frame format. Sun Bingo’s TV spend nearly doubled in 2018 compared to 2017, launching with their new creative in February and running every month after with a 2/3 week on and 2 weeks off strategy, upweighting weekdays and payday. The creative ran along a similar theme to recent campaigns from heritage bingo brands Gala and Mecca, by taking a well-known track and changing the lyrics. However, the choice of the track by Funky Dee ‘Are You Gonna Bang Doe’ positioned the ad towards a younger female audience than their competitors. In addition to the TV investment, the brand announced their sponsorship of the “Jeremy Kyle Show” in June. Previously sponsored by rival bingo brand Foxy Bingo, the Sun have aligned with the TV creative, launching comical TV idents featuring the ad’s star and comedian Jayde Adams in the setting of the show. The idents sit across both TV and VOD and the partnership extends across social, giving the brand access to the show’s loyal online following. Launching with a new look in January 2018, Wink Bingo maintained TV spend year on year. Their new creative focusses on ‘Wonder Women of the World’ and was delivered in 10” and 30” formats. Following a similar strategy to 2017, they avoided spending during the summer holidays and ran with a 2/3 week on, 2 week off strategy, coming off air around the middle of the month. 2018 also saw the brand invest in cinema for the first time, broadening their reach further in an environment rarely touched by their competitors, likely due to the relatively high campaign costs. Mecca Bingo made a return to TV at the end of 2017, bringing back the heart and soul of the 90’s with their Macarena spin-off creative. Running always-on throughout Jan – March, the brand avoided the summer months and returned to air in October until the end of the year. At the time of launching the new creative, the brand ran activity with Global and Bauer stations, delivering their Meccarena airtime creative across female-focussed stations. Jackpotjoy saw slightly reduced budgets in 2018 vs 2017 on TV, spending only between January and March and in the last few days of December. Creatives continued to feature their new brand ambassador Paddy McGuiness, with the ads poking fun at AI assistants in homes and playing on his well-known and liked Lancashire accent. 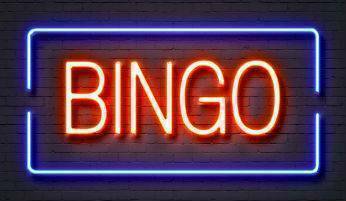 In October, Buzz Bingo entered the market, following the rebranding of over 100 of Gala Leisure’s bingo halls. The brand used TV, digital and social to promote their new online product and bingo halls, using the strapline ‘Britain’s Biggest Bingo Club’. This blend of messaging promoting both bingo halls and online games is unusual for the category, but is in line with their aims to change perceptions around bingo and make it more appealing to a younger, millennial audience. Foxy Bingo chose the unusual tactic of returning to TV in August 2018, a time of year when most bingo brands avoid spending due to the summer holidays. TV spend was a third of the previous years, running always on until December. The creative returned to featuring the classic Fox character, without Heather Grahams’ cameo. Betfred Bingo upped TV spend from £80k to £500k in 2018, focussing activity between January to April only. The creative shows a mixture of men and women playing on iPads, looking to gain players through the halo effect of their heritage sportsbook brand.